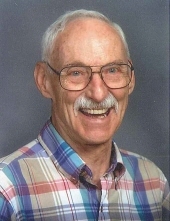 George Milroy Lehr, of Edinboro PA, died after a short illness on Thursday, 14 March 2019, at age 87. He lived a full life, one filled with experiences and adventures that were the source of many fascinating tales. One who excelled in the theater arts from a very young age, George worked summer stock theater in Pittsburgh, PA and performed with the Pittsburgh Playhouse School and Staff from 1951-52. Following his tour of duty with SCARWAF in France and England from 1952-1955, he moved to the Chicago area, where he obtained his degree in Radio, TV and Film from Northwestern University in 1959. He moved to Los Angeles, where for 30 years he worked in film as Associate Producer, Producer, and Director. Some of the highlights of his career include the TV series: "Police Woman," "The Man from UNCLE," “The Lieutenant," and “The Eleventh Hour;” along with the miniseries "Beulah Land." He finished out his professional career on the staff of the USC Cinema school, retiring in 1997. In 2000, George returned to Pennsylvania to reconnect with family and former classmates from Wilkinsburg, PA. He made winter trips to visit friends in the south and enjoyed summer fishing trips with friends in Canada. He traveled extensively over the years, from the wilds of Alaska to the exotic beaches Of Pago Pago. He loved flying the Mooney M-20! He has been an active member of the Edinboro Methodist Church, where he sang in the choir. George is survived by his sister, Helen Colaw, of Erie PA, and two nieces: Sandra Colaw of Erie PA and Barbara Sue Yurkshat of Manassas VA. He was preceded in death by his niece, Virginia Schmidt and his brother-in-law, David Colaw. He will be missed by nephews: Leroy Schmidt and Alan Yurkshat and his great nieces and nephews: Josh Schmidt and Corrie Poterjoy and their families, Tara Yurkshat, and Jay Yurkshat and his family. Many friends, near and afar, will miss his sense of humor, his spirit of friendship, and his zest for life. There will be no funeral or memorial service as per George's request, and his final resting place will be at St Peter's Cemetery in Pittsburgh PA. For anyone who may wish to honor George's memory, the family kindly requests that a donation in his name be made to Great Lakes Hospice, 302 French Street, Erie, PA 16507. Arrangements are under the care of Dusckas-Taylor Funeral Home and Cremation Service, Inc. Share your condolences at www.dusckas-taylorfuneralhome.com. To send flowers or a remembrance gift to the family of George Milroy Lehr, please visit our Tribute Store. "Email Address" would like to share the life celebration of George Milroy Lehr. Click on the "link" to go to share a favorite memory or leave a condolence message for the family.